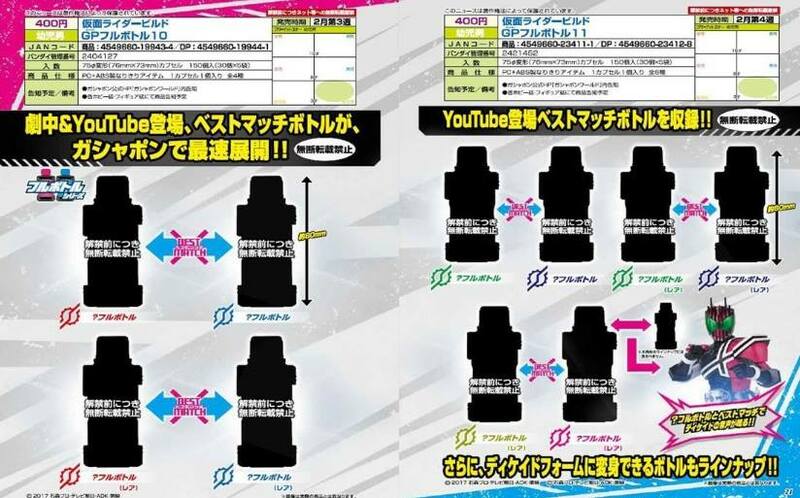 Kamen Rider Build - Youtube Spin-off Drama Revealed! Build Will Transform Into Kamen Rider Decade! Thanks to a couple of new Kamen Rider Build toy catalog scans, it is revealed that there will be a spin-off drama for the series and it also revealed that Build will transform into the destroyer of worlds, Kamen Rider Decade! The spin-off drama, which will premiere in February 5th next year, will revolve around the story of Sento collecting Full Bottles within Hokuto and Seito which will also connect to the upcoming Kamen Rider Heisei Generations FINAL movie and Kamen Rider Build TV series. 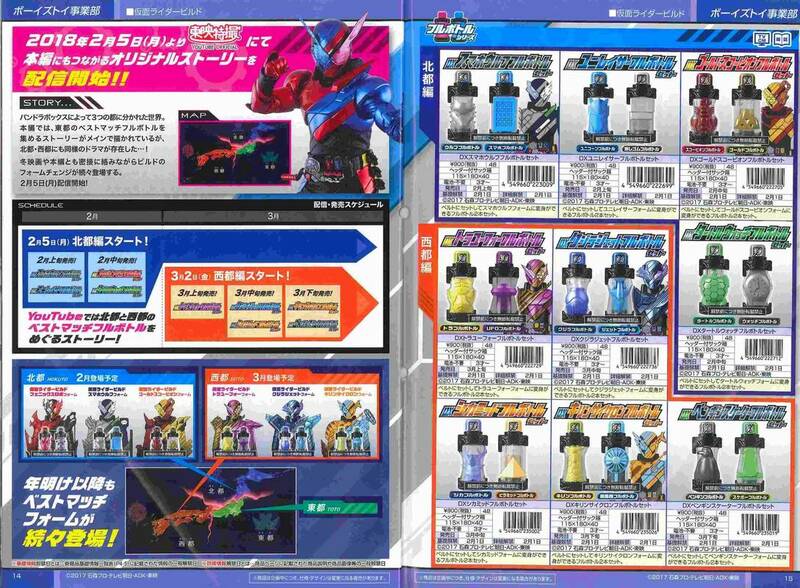 The scanned image above also reveals that there will be a Card and Camera Full Bottle Set which will enable Kamen Rider Build to "KAMEN RIDE" into Kamen Rider Decade! So are we gonna call Sento "A passing through scientist"? 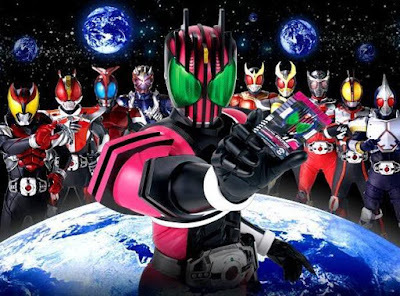 For now, let's all wait for more additional information regarding the Kamen Rider Build spin-off drama. ToraWolf ? Wouldn't it rather be ToraUfo ?